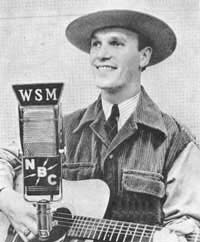 Sorry to say we don't have anything here for you to read about Eddy Arnold and The Tennessee Plowboys. That's either because we haven't got it finished or we haven't found anything yet. 33-0535 A Did You See My Daddy Over There? 20-2491 A Who At The Door Is Standing? 20-6407 A Do You Know Where God Lives? 420-0023 A Did You See My Daddy Over There? 420-0514 B Why Should I Cry?